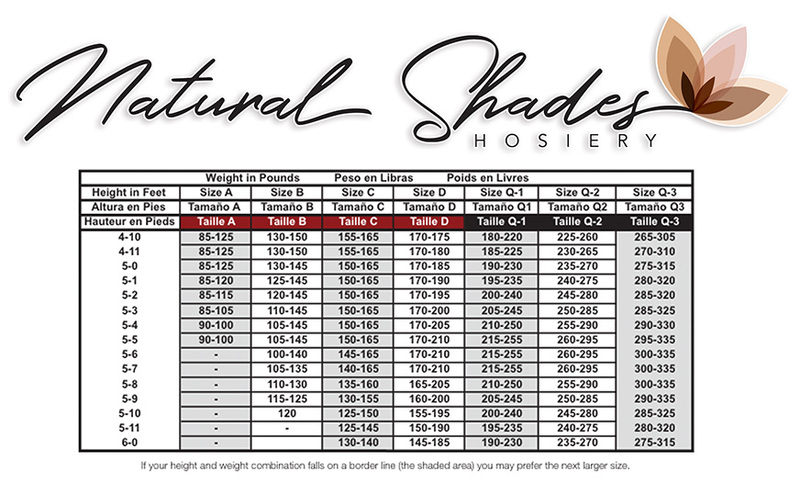 Natural Shades Hosiery is a “Control Top” hosiery which provides comfort and support to your upper body and will not roll down at the waist; ultimately, enhancing your appearance. Natural Shades Day Sheer (B, C, D and Q1-Q2) will cover your beautiful curves and expose the natural color of your legs. Natural Shades Hosiery will give any outfit impeccable style and sleek sophistication while providing comfort and support for everyday wear.